If you have ever telephoned a dentist's office, it is very likely that you would be familiar with the basics of a private branch exchange (PBX). You get the opportunity to speak to a receptionist, or a recording, or the opportunity to search for a person by name and maybe leave them a voicemail. A virtual PBX system is a hardware and virtual software that's not overly expensive or complex but must be purchased, installed, serviced and in time, replaced. For an office with less than one hundred employees, or many part-timers, telecommuters or a busy mobile sales force, a virtual PBX system could be an ideal choice. To avoid the need for hardware, virtual PBX software can be rented online utilizing hosted PBX or VoIP PBX. If all your business needs is a receptionist along with voicemail, a small business PBX may be cheaper and simpler to purchase instead of a hosted PBX or fully-blown virtual PBX system. Compare the price of virtual PBX software with a full-blown small business PBX system and see how they fair. 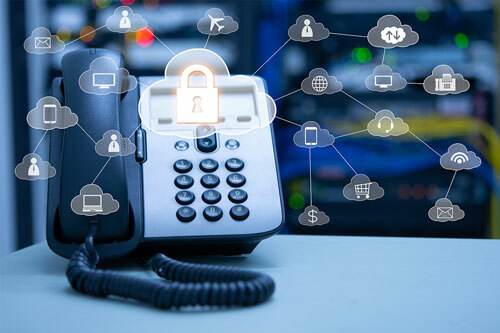 As a hosted PBX requires a connection to the internet to work, your phone calls are integrated into an always available environment. A Voice over Internet Protocol (VoIP) system is more cost effective for a small business PBX when compared to traditional phone landlines and utilizes the internet to route business calls. As the calls are already routed via a server, it is possible to add additional virtual PBX features by utilizing virtual PBX software. Some PBX service providers have structured their plans to meet the needs of individual users as well as the needs of small businesses. Small business PBX system plans are suitable for real estate professionals, consultants, and independent contractors. These plans come with a more basic web interface, similar to VoIP PBX, and charge for a fixed number of minutes just like cell phone plans. Do not sign a contract. Many virtual PBX systems will allow you to go monthly on a small business PBX plan. Paying monthly may cost a little more and the service provider will have the expectation that either ease of use or comfort will keep you on board. With a Hosted PBX system the cellular phone numbers of your sales force and managers can be added into the directory of the small business PBX system. Some PBX systems allow users to program the system so that the office phones ring during business hours and outside of work hours the calls can be transferred to cellular phones. A Virtual PBX service can make the process of utilizing popular customer relationship manager (CRM) software a little easier. Ask your PBX service provider about integrating a CRM system with your PBX plan.